Traverse across 550 acres of wide open savannah. Get right up close and encounter the wild. And all of this right here in your backyard! 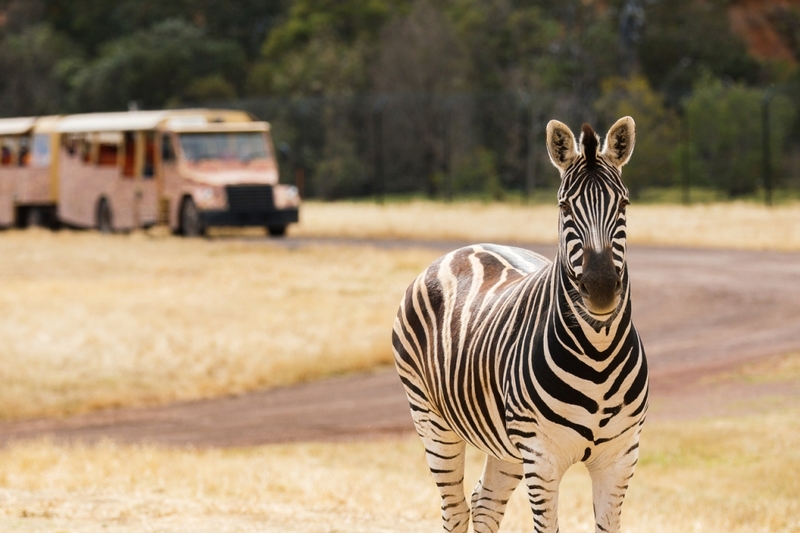 Visitors to Werribee Open Range Zoo can board a 40 minute open-window bus tour, which runs multiple times a day and takes up to 140 people per bus. What’s in sight on the tour? Striking African animals grazing together across picturesque grassy plains. This safari journey encircles giraffes, rhinos, zebras, antelope, bison, camels and more. Don’t forget those walking shoes; the rest of the park can be explored on foot. The Pula Reserve Trail takes you through more exotic habitats. Say hello as you visit the homes of vervet monkeys, wild dogs, and three bachelor gorillas just chilling in their pad. 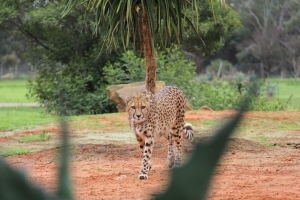 Then there’s the meerkats, servals and a solitary female cheetah named Kulinda. (Yes, she’s an independent woman often seen strutting her stuff). Hang with the hippos and feel the sand between your toes. 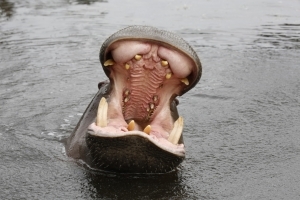 Grab a refreshment and let the kids explore the Hippo Beach with water fountains to play in. Meet the zoo’s famous lion cubs affectionately known as the roarsome foursome. Two females and two males – Asali, Ato, Ilola and Lwazia – born in August 2017. Currently living happily with their pride and known to wander right up to the glass to greet their visitors face-to-face. The Australian Journey and Wirribi River Trail delves into the Australian bush. This journey passes many local favourites including koalas, brolgas, emus, bandicoots, kangaroos and cassowaries. All sorts of other critters can be found along this trail. Search a bit harder and you might see blue tongue lizards, possums, frogs and native birds and plants. Don’t forget a stop at the new orange-bellied parrot aviary. 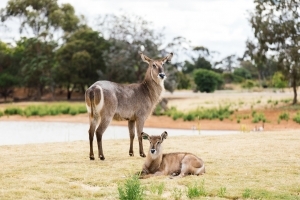 Rain, hail or shine you can have a good time with the animals at Werribee Open Range Zoo. Visitors will be captivated by keeper talks and animal presentations. On a cold rainy day you might see a gorilla wrapping himself up in a blanket and sheltering from the cold. And on a warm sunny day you may see more activity at the watering hole, as an antelope and zebra cool themselves in the dam. Whatever the weather, you’re guaranteed to learn a great deal about some new animals and their welfare. More importantly, unearth the tremendous personalities of these beautiful animals who call the zoo home. Here’s the great news. Children under 16 receive free entry EVERY WEEKEND. Plus, free entry during (Victorian) school holidays and public holidays! Throughout the zoo kids can traipse through playground areas, ropes course trails and water play parks alongside the animals. Feed a giraffe, stroke a serval, see animals up close, be the keeper for a day, even stay overnight in safari tents to see the animals come to life at the crack of dawn. Opportunities like this don’t come about every day! Enquire today. 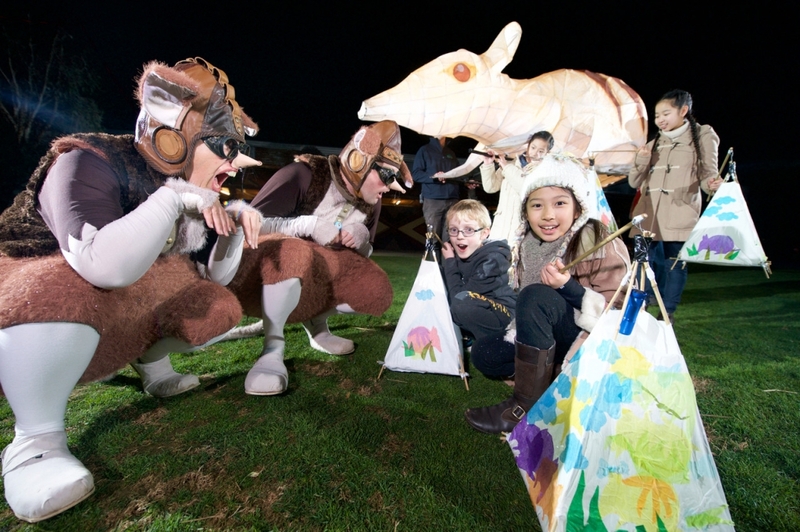 Head to one of Werribee Zoo’s after dark events and discover what animals lurk about by torchlight. It’s not just about the animals though, these seasonal programs are always a real theatrical event, bringing all the colour and energy of African culture. Suitable for friends of all ages. 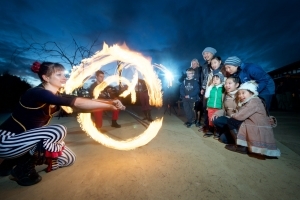 During winter at Wild Nights: watch dazzling fire performers and lantern parades, toast marshmallows by the campfire, explore the secret garden and get lost in the glow zone. Hot chocolates, mulled wine and warm winter food are a big feature of course! 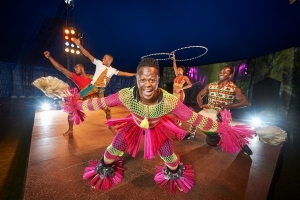 During summer at Rhythm of Africa: enjoy African-inspired street food, live music, drumming workshops, hair braiding, face painting and picnics on the grass. And then there’s the Big Top – Cirque Africa – an exciting team of acrobatic performers visiting the zoo during special events. Guaranteed to bring out the oohs and aahs. Sunset Safari: In this new and exclusive after-hours and small group event, spend an incredible night out with some of the world’s most iconic animals. Adventure onto the Savannah for a guided sunset tour, feast with friends at an intimate dinner, and enjoy an immersive performance that showcases the rhythm of Africa. 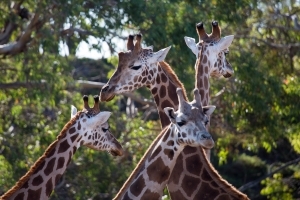 An exciting expansion for the Werribee Open Range Zoo is in the works (dependent on funding). The plans will focus on providing new immersive experiences for visitors. If funded, it will feature expansions to many of the current enclosures including the lion habitats and the Rhino Retreat, a new on-foot safari via suspension bridge, a high-wire gondola trail, and a mammoth 50 acre elephant sanctuary that will house the elephants currently residing at Melbourne Zoo.